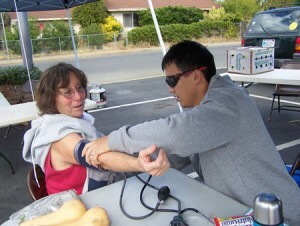 Thomas Lewry and Scott Marshall had stopped for a blood-pressure check on a November Thursday at the Fire House Certified Farmer’s Market in Oroville’s Southside. ChicoSol contributing editor Lindajoy Fenley is traveling through Mexico, exploring influences on traditional music. She files this report from Mexico City after visiting with the well-known group Yolotecuani that plays the music of Tixtla, a small mountain town in central Guerrero state on the Pacific coast.